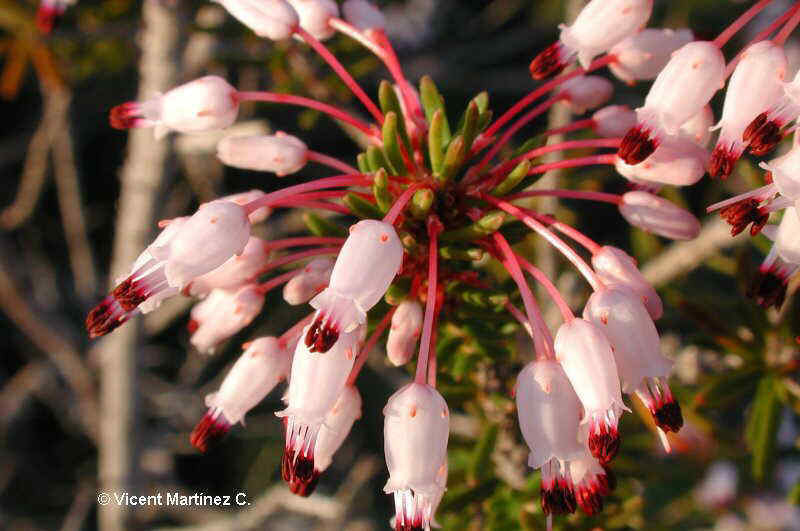 Foto de Erica multiflora L.
Perennial bush of the heather family -ericaceae- till 2 m. tall. Erect stems. Leaves in whorls. Flowers grouped in compact racemes with long peduncles. 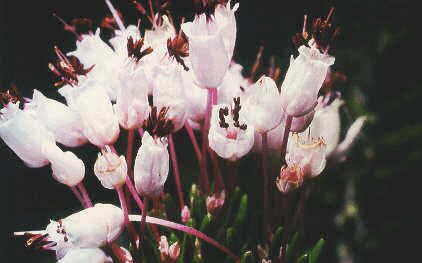 Pink whitish corolla, bell- shaped till 3 cm long. Calyx much shorter than corolla. Stamens with dark brown anthers, protruding from corolla with red filaments. In dry woods and heaths.